I was back on this beautiful island to visit a friend of mine, and also a few other friends. One thing I love about Guam is that its a very small island and you could go from end to end in 2 hours by driving. The last time I was here, I went here with my friends and to visit her family here. This time I came to visit my friend who is the spa assistant manager at hotel Nikko. 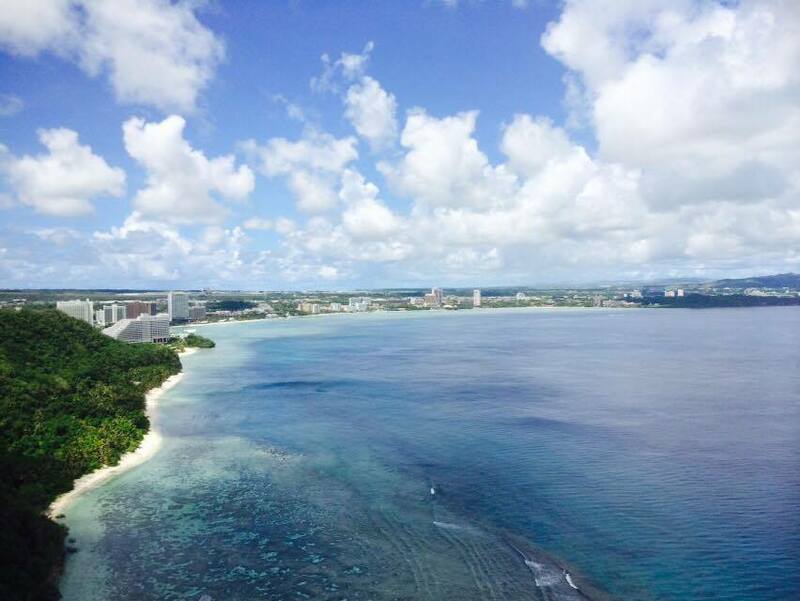 What is there to see in Guam? The last time I was here, we did mostly eating. Eating everything and everywhere (haha) especially at Panda express. We also took plenty of Combat classes because my friends mom is a combat instructor here at Guam. This time I did more sightseeing with my friend. We drove from end to end, the north of the island is where you will see the air force and the south part of the island is the navy base. The island is really very small and the most you could do is really just to go shopping and snorkelling in Tumon bay and some paddle boarding. If you are lucky, you will experience the BIPOLAR weather of the island where it will be sunny one minute and rainy like (stormy rains) after a while then sunny again. If you are looking for an easy laid back style place. 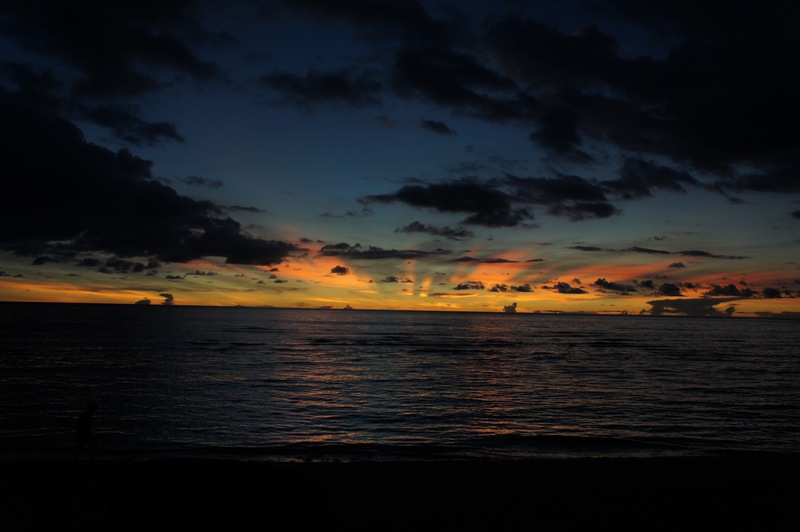 Then Guam is a great place to be, especially for people who love discount shopping. I am not a big brand shopper but this place is PACKED with big discounts. All the designer brands you could name is here, its probably what I could compare to Ginza in Japan but so much cheaper. Another thing I love about this place are the giant grocery places and malls. K mart, Cost U less and Micronesia mall are some of the places you could probably visit if you are a big shopper. I’ll be adding a new list of places to eat on my “HUNGRY BALLERINA” on Guam link. ❤ If you’re ever in Guam. A few days is enough to explore. Here are some places to add to my first list in my first blog post. We went to visit Cocos island, this is in the south area of Guam. Probably a 1 hour drive from Tamuning to the cocos island ferry. If you rent a car and use the GPS you should be fine. The island is filled with Japanese people. Their ferry rides from the island of Guam to Cocos island is 10am, 11am and 12nn. You can book everything on the day itself and it will cost you $40 to visit the island. 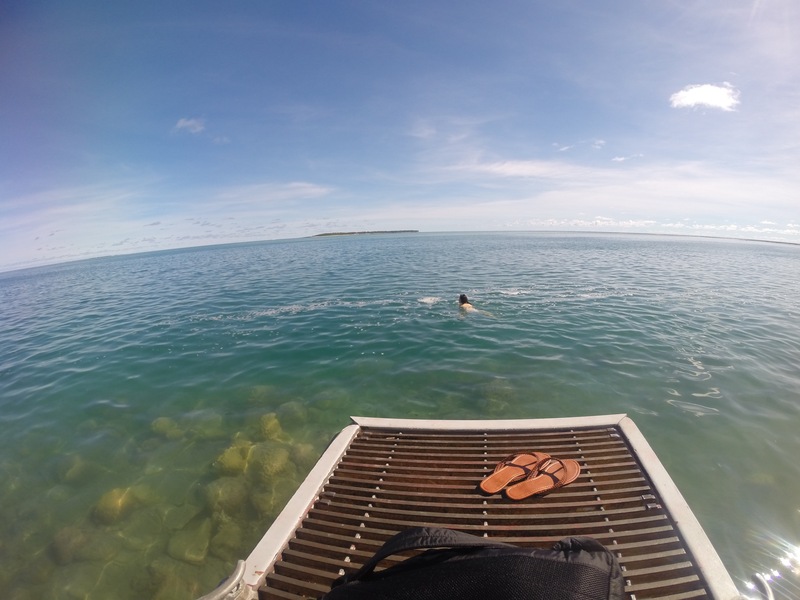 On the island you can do some snorkelling and swim to bikini island which is a sandbar. This is a very near alternative to Cocos island. Very nice museum too, you just go here and pay $20 to see the fishes underwater from a natural museum. Its really nice to come here just to sit down and watch the fishes. Maybe come here on a sunny day so that the water is not so murky. You will see plenty of fishes and it is very relaxing. The last time we were on Guam we didn’t go up to two lovers point. It is just a 10 min drive away from Tumon. It is really near if you have a car, there are plenty of tourists here and you have to pay $3 to go up to the lovers point but it is worth the beautiful view, even without your lover. The story behind the two lovers point is also very nice so you are into a little bit of history its nice to look it up or read before coming to lovers point. I really recommend renting a car online before coming to Guam. It is a much more practical alternative to taking the shuttle bus around or booking a tour. Because one bus ride will cost you $4 and the round trip is $8 and the whole day pass is also quite pricey. I rented a car for only $200 and so I would think that having control of your own time would be better than taking a cab or a shuttle bus around the island. Heres the view from the Beach bar. Its right next to Hotel nikko, a great place to hang out with friends and meet people. Enjoy! Thank you Maysa! Yes its really nice here on Guam and the fish eye museum is nice if you inquire early you could snorkel in that area and there are plenty of fish!